Talking to an inspirational coach in my Inner Circle recently, she described her biggest challenge as “shiny squirrel syndrome”. That’s when you allow yourself to be sidetracked, diverted and confused by spending your time on lots of different things. 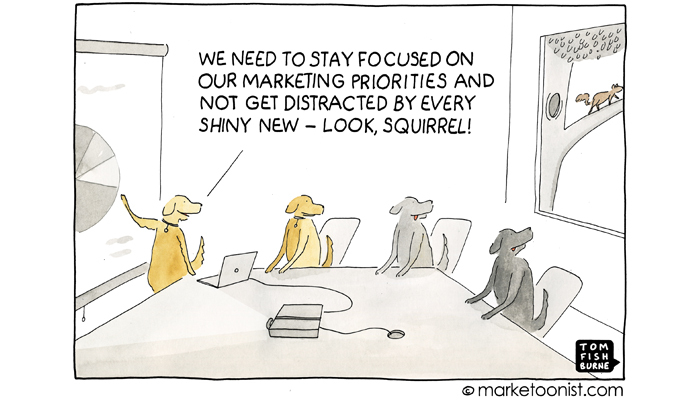 There’s nothing shiny about that squirrel. He’s a dark, evil, bushy-tailed monster. PS – Nothing monstrous about this – 7 Days FREE Inner Circle membership. Limited spaces.